Well it's in the name. No mods are installed. If I or a NPC disintegrate an enemy (with any energy weapon obviously) the goo/ash piles become unlootable. Also after level 5 the Superdupermart cell is no longer accessible as it crashes every time I go there by any means available (on foot/fast travel). Looks like the latest JIP LN NVSE Plugin is causing this, a lot of people on the mod posts are talking about it. Crash probably also comes from new JIPLN plugin...kind of. From what I understand new plugin crashes game when ever script bug is encountered. JIPLN does not cause these bugs it just exposes them now, I get these crashes in "The Mall" and "Columbus Circle". All we casuals can do now is wait for mod authors to patch these script bugs. Try to avoid places where game crashes or maybe even take a break from TTW for a while. I personally will probably take a break from TTW and play some Enderal: Forgotten Stories, it launches tomorrow. Didn't like enderal tbh, devs are cancer. It's like having a chair next to your bed so you can sit and rest a bit after you wake up. More locations in DC are now CTD. Sigh. Maybe this mod is never going to be playable, so frustrating. Thx for everyone who responded. EDIT: Yes, it worked completely, bless you! Thank you, I'll try that. Btw after excessive testing I think those ash piles are the reason for ctds. Basically ash piles don't get cleared out by NV but bodies do and since the ash piles are not getting bodies' loot transferred they keep addressing to now non-existing body containers? IDK if this makes any sense, lmao. 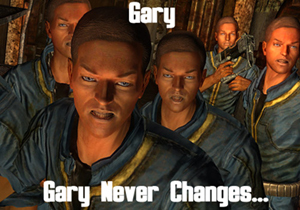 Basically I tested it with this https://www.nexusmods.com/newvegas/mods/37573/? mod and I no longer have ctds it seems because ash piles are removed from the cells. This type of thing is already in TTW, they will disappear after 3 days. No it doesn't cause crashes.